An old Arabic folktale tells how a man standing one night by a river is bored and starts throwing pebbles in the water. Just as dawn breaks, he picks up the last pebble and as he throws it: he briefly looks at it. As it flies through the air, he realises that it was a jewel. A bag of jewels had been spilt on the river-bank, and through ignorance he had thrown them all away *. We have a similar problem with butterflies and modern society. We are destroying their foodplants and their habitat. If our grandchildren and future generations are to enjoy the wondrous nature of butterflies: we need to allow Caterpillars to coexist with us in our society. Caterpillars are the immature stages of butterflies and moths (Lepidoptera). At a recent count, Australia was home to 5 familes of butterflies (containing about 400 named species), and about 100 families of moths (containing over 10,000 named species, with probably as many moth species again yet to be described). Many of the Australian moths and butterflies are very beautiful, and many of their caterpillars are even prettier and more interesting than the their adult forms. 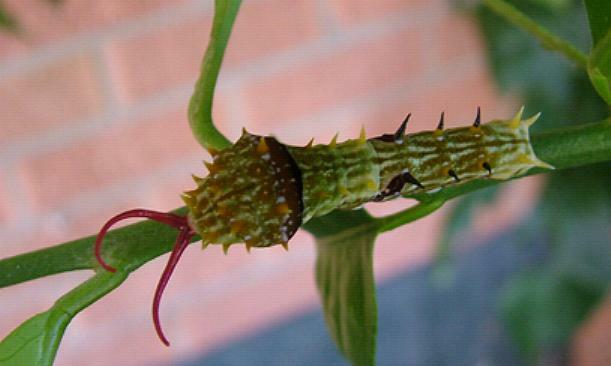 Caterpillars are also very tame and easy to catch, and so make delightful house pets. 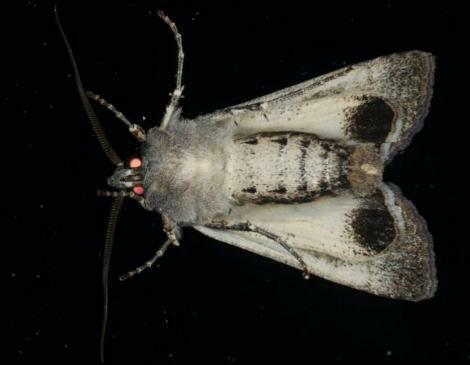 Most Australian Lepidoptera taxonomy and identification has been performed on dead adult moths sent back to the British Museum in London from Australia by the early explorers. Meanwhile: most professional entomologists in Australia are employed to study the control of the few species that are pests. So for instance: there is no information at all on the shapes, colours, and behaviour of the caterpillars of 90% of Australian moths. So even amateurs can help discover these things by collecting, photographing and rearing in captivity any caterpillars that they find in Australia. Preserving caterpillars poses difficult problems. 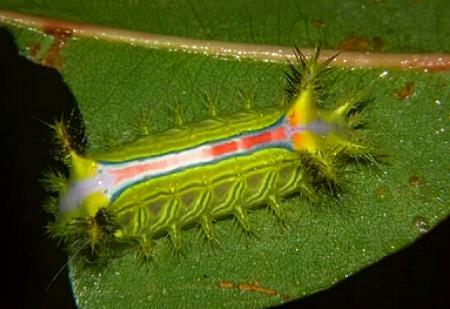 This makes the identification of caterpillars difficult. So: of the limited number of Australian Lepidoptera that have known caterpillars: only a small number have been photographed, and still fewer of such photos are on the web. In an attempt to improve this situation: we have created these webpages with all the pictures and links we can find about caterpillars that occur in Australia. The pictures come from ourselves and many colleagues, from a wide variety of sources, and are of very varied quality. We are still adding more pictures, so watch the counts at the head of this webpage. 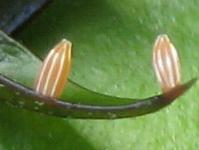 Caterpillars from the families like TORTRICIDAE can move backwards faster than they can move forwards. Caterpillars from many species, such as those in the subfamily Daneinae feed on poisonous plants, and accumulate the poisons in their body making them poisonous to predators like birds. Whilst most species of caterpillars feed on leaves, some burrow into the soil feeding on roots, some bore into trees eating the wood, and caterpillars of some moths like Scatochresis episema feed on Koala droppings. The female moths of Australian species such as Teia anartoides have no wings, and the species disperses by the young Caterpillars making an open gossamer sail out of silk, and sailing away on it in the wind. Link to More Caterpillar Facts. The fauna and the flora of Australia are very different from those in the rest of the world, and this is just as true of the Caterpillars as it is of the better known Marsupials. With the short history of European influence in Australia and only a small human population, only a limited amount of work has been done on naming and identifying the various species. The scientific name for a Caterpillar is Larva (plural Larvae). 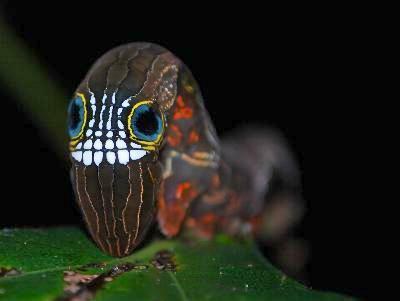 This name was taken from the Latin word Larva meaning amongst other things 'Mask', because Caterpillars could be thought of as masking the butterflies and moths which they become. Caterpillars have several thousand muscles and have no skeleton. So by extending or contracting appropriate muscles: caterpillars can change their apparent length by plus or minus 25%. 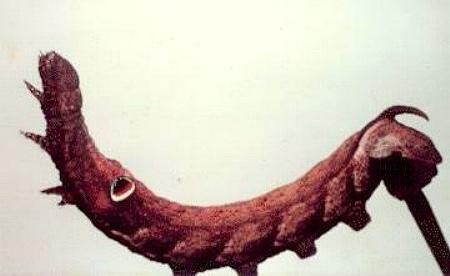 The wingspan of the adult imago is approximately equal to the maximum length to which the caterpillar grows. Depending on the average temperature, humidity, and availability of food, caterpillar maximum sizes can also vary by plus or minus 25%. Thus the lengths and wingspans given in these webpages for various species of moths and butterflies are implicitly subject to this degree of variability. The wingspans given in 19th century descriptions are sometimes listed in 'lines' or its abbreviation " (double quote). A line is 1/12th of an inch, approximately equal to 2 mms. By the term 'wingspan' in these webpages is meant the distance between left and right forewing tips of a specimen with the wings set so that the hind margins of the forewings are at right angles to the axis of the body. 3. all our pictures have the head to the left, although that has required a left-right reflection of some of the photos. We have a separate webpage for each species, and links to these are available from a webpage for each family as a thumbnail picture and a highlighted name. The families are also linked from one webpage for the moths and one for the butterflies. We have included lots of pictures of the adult butterflies and moths also, even if we had no caterpillar pictures for those species. In these cases, our thumbnail pictures show only an adult. For some species we have found no pictures at all, but only some descriptive text. In these cases, we show only a bullet by the name, and the name is highlighted as the link. Some species have been illustrated on Australian postage stamps, and some more widespread species of Australian butterflies and Australian moths have appeared on overseas stamps. 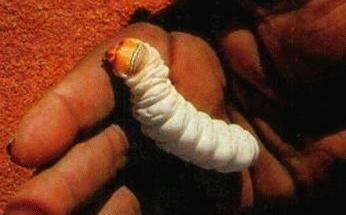 Many caterpillars are very fussy eaters, and eat only a very restricted range of plants or foodstuffs. We have tried to include links for the known food sources of the various caterpillars. However, we only list those that we have observed, those we have been told about by other observers, and those reported in the literature. In principle, the caterpillars might feed on anything when nobody is looking.